Hwy 26 may be closed at Higdon Road in West Point for some time, as the road caved in due to oversaturated dirt underneath the pavement. No time has been estimated for re-opening the roadway. 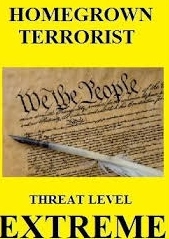 What is a TERRORIST??? Does Calaveras Sheriff think they're CUTE??? A lot of talk has been taking place about who are terrorists, do they come in from other countries as terrorists, are certain religions terrorists, etc. Trump is trying to get a Muslim ban! Idiocy!! March 3, 2017 at 9:35 AM: The Calaveras Sheriff's Office has issued a winter storm watch warning for the area. From Saturday afternoon until Monday afternoon there may be extremely low snow levels, winds and colder than normal temperatures.